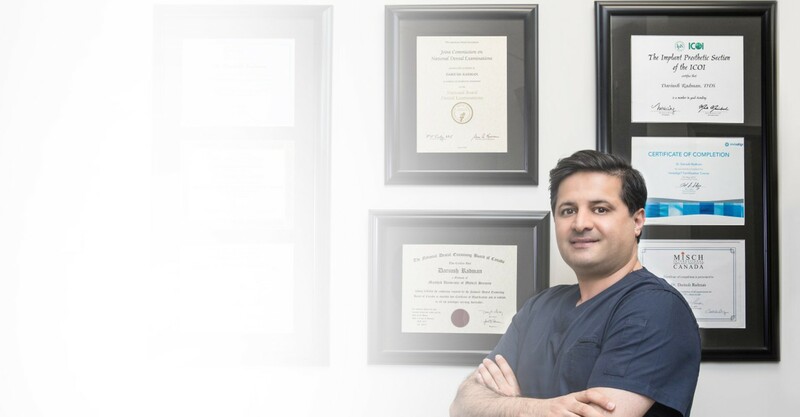 I did an implant with Dr. Radman after a month of delaying as I was afraid of pain, but it was a great experience as I did not feel any pain during or after the work., When I went home, I did Not take any pain med. Dr. Radman placed an Implant for me and I did not feel any pain. Dr. Radman took out a defective dental bridge work and placed 4 implants for 2 hours, I did NOT feel any pain. The implant placement experience was great, during the operation I did not feel any discomfort, it was easy and painless, and even after the operation there was no swelling nor pain. I did an implant with Dr. Radman and there was no pain after that. 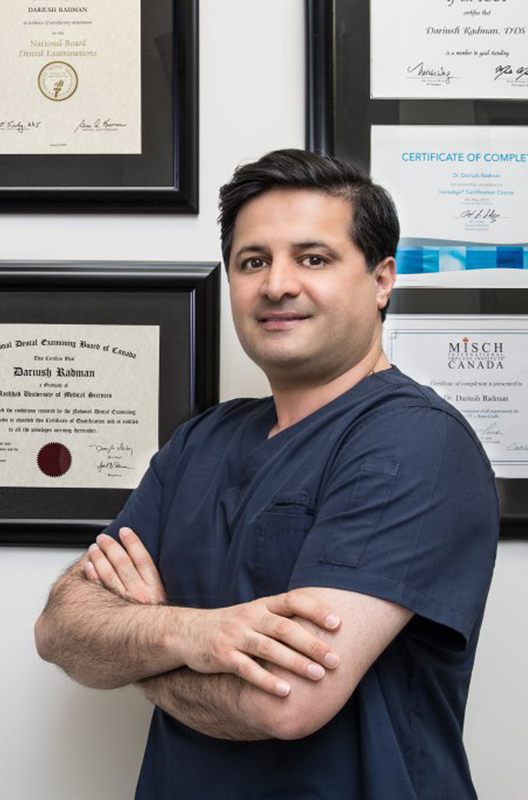 Dr.Dariush Radman placed 6 implants during a week and the surgery went smoothly and perfect , I had NO pain and did not take any pain reliefer during the week. The surgery was accurate and quick, and I thank Dr. Radman. Dr. Radman placed an implant for me and t was an excellent treatment with NO pain. I had implant placed by Dr. Radman, I had No pain during the surgery and after that I only took one tablet for pain and that’s all. Everything was good with my implant placement experience with Dr. Radman and I did not feel any pain after the surgery. I had my implant placed with Dr. Radman and I was so comfortable and had no pain after the surgery. I had an implant placed by Dr. Radman and it was easy, and I did not feel any pain. After the surgery I felt pain for an hour and I took Cataflam and pain gone. Honestly, I recommend Dr. Radman for implant surgery. Dr. Radman placed 7 implants for me with minor discomfort. I came to Dr. Radman office to place implant, and after the surgery there was no need to take any pain medication nor antibiotic. Dr. Radman placed 3 implants for me and I did not feel any pain after the surgery and did not take any pain medication. After implant placement by Dr. Radman, I felt slight pain for about 1 hour and took pain meds after that there was no pain at all. I did Implant placement with Dr. Radman and I did not feel any pain nor need to take any med. Feeling comfortable. My first dental implant placed by Dr. Radman and it was successful with no feeling of pain, and I came back to place the rest of the implant with him, many thanks to him. Here at Sunlight Dental Clinic; we take pride in providing our patients with prime dental care that is effective, safe, and affordable. We consider the well being and satisfaction of our patients our top priority. The team at Sunlight Dental Clinic understands the importance of being both caring and professional. We are here to provide you with the top quality dental care you deserve. Our friendly and knowledgeable staff are always ready to respond to your questions and concerns regarding your dental health. We value our relationship with each and every one of our patients and appreciate you choosing us as your dental care provider. We understand that visiting the dentist can be stressful for many. Throughout the years we have developed ways to ensure our patients feel calm, comfortable, and well taken care of. Through many years of providing patient care, we have built ongoing relationships with our patients and consider every single one of them family. We are always open to your comments and suggestions and are constantly striving to make this clinic a better place for everyone to be. We look forward to meeting you here at Sunlight Dental Clinic, where we make confident smiles.